From Baton Rouge, Louisiana, Jonathon “Boogie” Long was born with the blues coursing through his veins. Brought up in a Southern Baptist community, he first picked up the guitar at the age of six, teaching himself old gospel songs. Years later, a teenage Long found himself playing weekly gigs at blues clubs and events around town. At fourteen, he left school to lay down his roots touring with local legends Henry Turner Jr. & Flavor from 2003 to 2005. Additionally, he has toured with Chris Duarte, Kenny Wayne and Tyree Neal on the Chitlin’ Circuit. 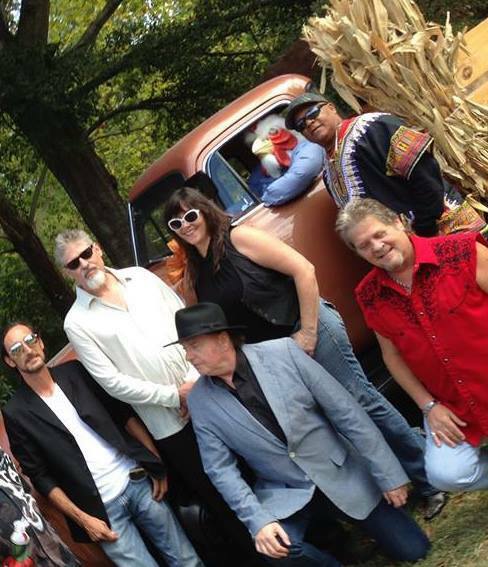 Boogie has shared the stage with standout musicians such as Warren Haynes and Govt Mule, Dr. John, Rockin’ Dopsie, Monte Montgomery, Ellis Hall, Kenny Neal, Larry Garner, Henry Gray, Lil Ray Neal, and Lou Marini of the Blues Brothers Band. 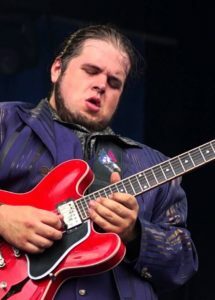 In 2011, Boogie Long was crowned Guitar Center’s “King of the Blues” from a field of over 4,000 contestants, in the competition for #1 Unsigned Blues Guitarist in America. 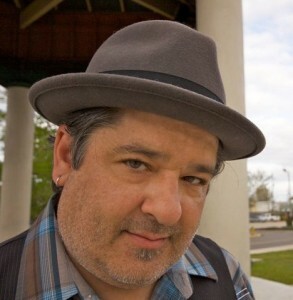 Soon after, Boogie was sought out to film 2013’s “Boogie Blues Magic,” an instructional three-DVD set on which he shares his original tricks for learning fundamental blues styles (www.boogiebluesmagic.com). On another recent project, Boogie co-starred in the independent film, “We Be Kings,” a fictional story about an elderly couple that owns a juke joint in the Mississippi Delta. Boogie currently fronts his own blues/soul trio, The Blues Revolution. His soul-stomping vocals and monster guitar shredding, paired with bluesy songwriting chops make his powerhouse performances a “must see.” In April 2013, Boogie was tapped by B.B. King to support his four week tour. Also, he was given a prime slot at the New Orleans Jazz Fest Blues Stage! Quickly ascending from Baton Rouge to the main stage, Boogie Long is on track with his lifetime goal of championing blues music and its roots. His debut record was released in April of 2013, making his national debut with the follow-up opus “Trying to Get There” on Louisiana Red Hot Records (7/22/2016). Louisiana musicians often blend zealous religious lyrics with the most raucous, rowdy accompaniment. From Ferriday’s rocking Jerry Lee Lewis and his preacher cousin Jimmy Swaggart, to the funky gospel guitarists Elder Utah Smith of New Orleans, and Reverend Charlie Jackson, of Baton Rouge, to name but a few, Louisiana music has long straddled that fine line between Saturday night blow-outs and Sunday morning reflection. 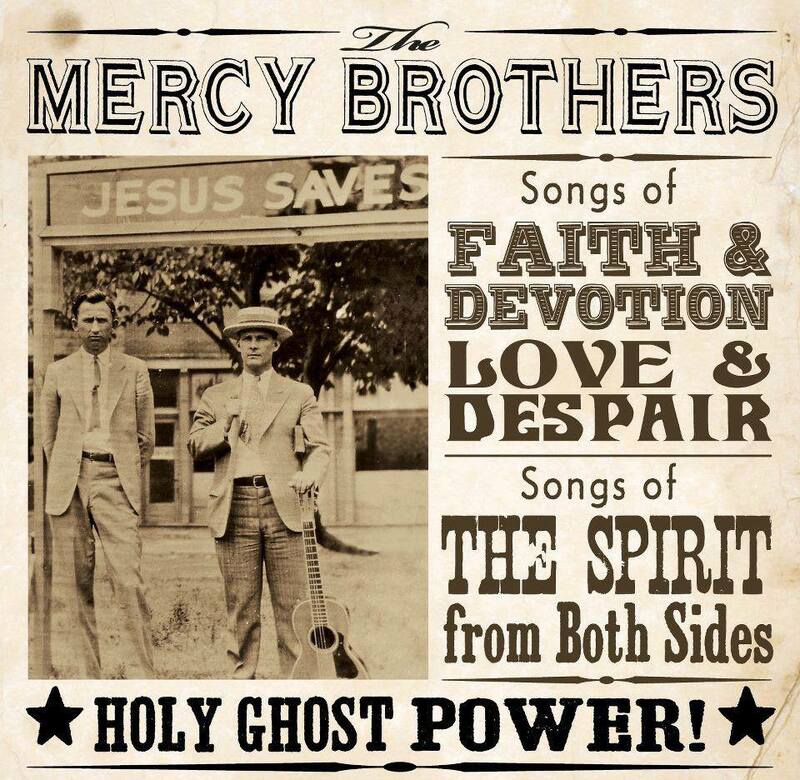 The latest band to joyously explore this passionate roots-music border zone is the Lafayette-based Mercy Brothers — as heard on their exuberant debut CD Holy Ghost Power!, on Louisiana Red Hot Records in the US and Rootsy in Europe. 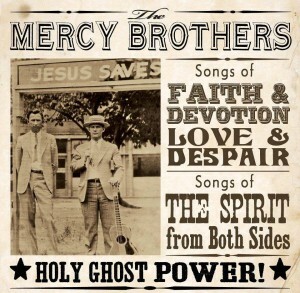 Formed in 2011, the Mercy Brothers blend the spiritual fervor of an old-time tent revival with the rambunctious feel of a rural roadhouse — combining the best elements of celestial and honky-tonk heaven. This unique holy hubbub hybrid, and a reputation for electrifying live shows that inspire impassioned sing-alongs, has won the band a loyal — dare we day devout — following. In 2012 they tore it up at both the Festival International de Louisiane and Festivals Acadiens et Créole in Lafayette, and at New Orleans’ coolest new club, Chickie Wah-Wah, garnering glowing press from the Times of Acadiana and the New Orleans Times-Picayune, and starting a buzz in music circles around the nation. Visit the Mercy Brothers’ Facebook page here. As a 20 year veteran of the Austin music scene, Kevin Sekhani has done it all. From blazing rock-n-roll to Holy Ghost Honkytonk, Sekhani never fails to entertain crowds with heartfelt enthusiasm and poignant lyrics. Spending time in Austin working with Michael Ramos (John Mellencamp, Patty Griffin), Andrew Duplantis (Son Volt), and Austin Chronicle’s three-time String Player of the Year winner Warren Hood. In 2010, Sekhani moved back to his home town of Lafayette, Louisiana to front The Mercy Brothers, a Gospel group walking the fine line of sinners and saints. Since the prodigal son’s return home, he has won over the hearts of Jazz Fest and Festival International audiences, landed a top 5 spot on the Americana charts in Europe with The Mercy Brothers debut release, toured Sweden, and signed his Gospel group to Louisiana Red Hot Records. Day Ain’t Done is layered with Americana staple instrumentation, taking the earthy tones of violin, mandolin, accordion and acoustic guitars to give the feel of a back porch jam on a Louisiana Saturday night. The album’s track “Oilfield Tan” has found its way into regular rotation on local Louisiana and Texas radio stations, resonating amongst an area all too familiar with the demanding industry of oilfield work. Kevin Sekhani celebrates his Louisiana roots by signing with Louisiana Red Hot Records to help bring Day Ain’t Done to the worldwide stage. With stops at 2014’s South by Southwest music festival, Sekhani has already began to garner excitement for his solo career. Still, whether you catch Kevin Sekhani at a large festival or on a small front porch, you are guaranteed to enjoy one hell of a show.